If you were around in the 1990s, you undoubtedly remember when the faces of video games were not stern dads and hard-edged military men, but were instead cute mascots that occasionally brought a bit of attitude. 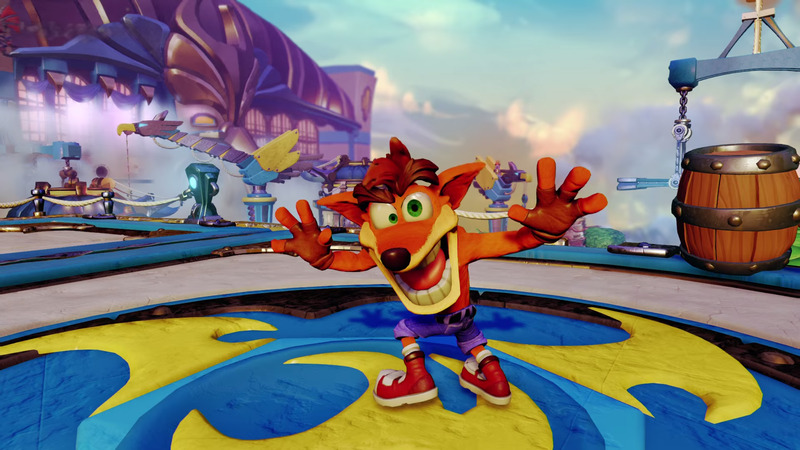 While stalwarts like Mario and Sonic the Hedgehog have (to varying degrees) remained relevant past the turn of the century, former heavy hitters like Crash Bandicoot have gone by the wayside. Not content with being a mere footnote in video game history, Crash Bandicoot is making his triumphant return to the spotlight. First, he’ll appear as a figurine and playable character in the popular toys-to-life game “Skylanders” in October. Then, his first three adventures from the original PlayStation will be fully remastered for PS4 in 2017. This was huge news when it was revealed at E3 last week, as it lit social media aflame even as tons of amazing-looking new games were revealed left and right. But there are plenty of reasons for that. Here’s why the classic “Crash Bandicoot” games were so impactful. 1. The character is charming. 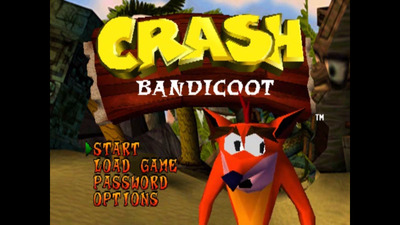 Even if you're not a fan of the real-life marsupial for which he's named, Crash Bandicoot is a pretty cool guy. Running around shirtless with some jorts and sneakers was a hot look in the 90s, and Crash rocked it. More importantly, Crash had just the right combination of family-friendly appeal and attitude that made his games seem a bit less like they were for kids than something like 'Super Mario 64,' which helped the PlayStation establish dominance over the Nintendo 64. He was the right character at the right time in the right place. 2. The games were simple and fun. If you've played mobile games over the past few years, the image above might look familiar to you. 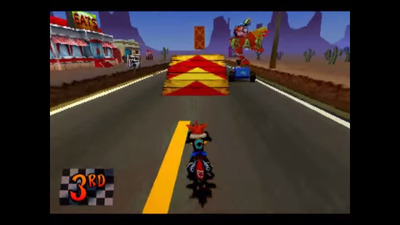 The original 'Crash Bandicoot' games were basically 'Temple Run,' albeit with a bit more depth and longevity. 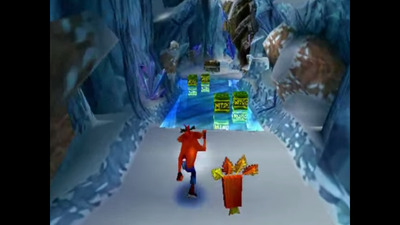 As Crash, you either ran forwards or backwards along narrow jungle corridors, collecting items, defeating enemies with his signature spin move, and jumping across perilous bottomless pits. It wasn't complicated, but it didn't need to be. It was simple, challenging and addictive, and it's a testament to its value that it lives on in the form of phone games today. 3. The games looked fantastic (at the time). 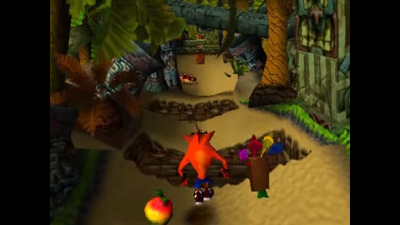 It might be tough to tell now, but back then, the 'Crash Bandicoot' games looked incredible. 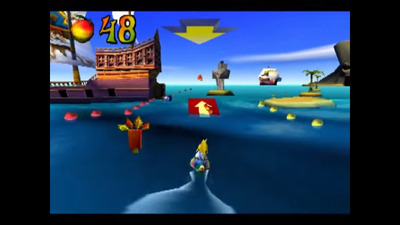 They were bright and colourful, and in an era when technology meant games couldn't have as much detail in characters or levels, Crash was incredibly expressive. His big eyes and variety of facial expressions made him feel more like a cartoon character than past video game mascots. 4. Its use of 3D was mindblowing. The 3D revolution came in the mid-90s, meaning games weren't just viewed from the top or from the side anymore. Games had more freedom of motion than ever, it opened up countless new opportunities for creativity from game developers. 5. It helped define a console. You may not remember, but when the original PlayStation came along, it was a pretty big deal. Up to that point, the main competition was between Nintendo and Sega, but Sony put out a console that blew everything else out of the water. The PlayStation had the most and arguably the best games of the mid-to-late 90s. 'Crash Bandicoot' was a big part of that. It gave the PlayStation a mascot on par with Mario or Sonic, and even though Crash fell by the wayside for almost 20 years after his third game, the excitement over his revival shows that the love for our jorts-clad hero never died.